Kumar And Mrs. B.V. Nagarathna, JJ. 1. Kumar, J. – As the same question of law is involved in all these three appeals, they are taken up for consideration together and disposed of by this common order. The revenue has filed these appeals challenging the common order of the Tribunal. 3.The Assessing Officer proceeded to hold that the assessees have adopted a device in order to avoid tax. The difference in the aforesaid amount is the deemed gift and therefore it falls under section 4(1) of the Gift Tax Act (hereinafter, referred to as the ‘Act’) and accordingly he levied gift tax on the said deemed gift. Aggrieved by this order, all the three assessees preferred an appeal to the Commissioner of gift tax. The appellate authority dismissed the appeal by affirming the assessment orders. Against the said order, the assessees preferred an appeal to the Tribunal. The Tribunal relying on the judgment of this Court in the case of N. Prasanna v. CGT  228 ITR 427 , held that the partners introduced immovable property by way of land as capital contribution to the firm and that the said transaction is bona fide and though there is transfer within the meaning of section 2(xxiv) of the Gift-tax Act, no gift tax is leviable thereof. Therefore, it allowed the appeal by setting aside the order passed by the authorities below and granted relief to the assessees. Aggrieved by the said order of the Tribunal, the revenue has preferred these three appeals. “1.Whether the Tribunal was correct in holding that capital contribution of Rs. 11,59,375 by the assessee in favour of the partnership firm on 1-4-1993 and subsequent retirement on 31-8-1993 after four months by receiving a sum of Rs. 22,84,375 the difference of Rs. 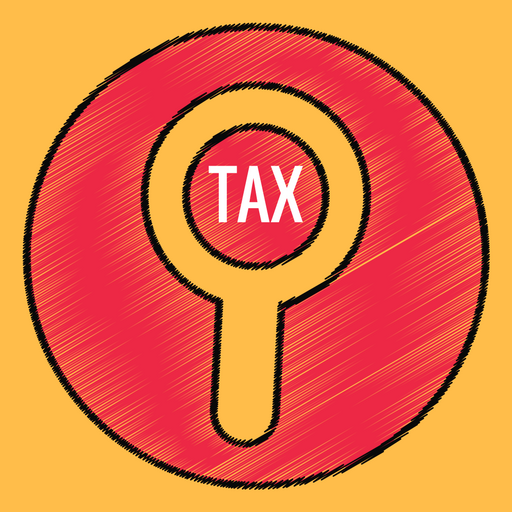 11,25,000 cannot be treated as deemed gift as per the provisions of the Gift Tax Act ? 2.Whether the Tribunal have recorded a finding that the capital contribution of Rs. 11,59,375 by the assessee in favour of the partnership firm on 1-4-1993 and subsequent retirement on 31-8-1993 after four months by receiving a sum of Rs. 22,84,375 amounts to a device adopted by the assessee in order to avoid tax? “1.Whether the Tribunal was correct in holding that capital contribution of Rs. 28,26,250 by the assessee in favour of the partnership firm on 1-4-1993 and subsequent retirement on 31-8-1993 after four months by receiving a sum of Rs. 69,59,250 the difference of Rs. 41,33,000 cannot be treated as deemed gift as per the provisions of the Gift Tax Act? 2.Whether the Tribunal have recorded a finding that the capital contribution of Rs. 28,26,250 by the assessee in favour of the partnership firm on 1-4-1993 and subsequent retirement on 31-8-1993 after four months by receiving a sum of Rs. 69,59,250 amounts to a device adopted by the assessee in order to avoid tax? “1.Whether the Tribunal was correct in holding that there was no gift despite the assessee having entered into a partnership by contributing property worth Rs. 18,68,125 and retiring after 4 months by receiving a sum of Rs. 33,30,544 which would amount to a deemed gift. 2.Whether the Tribunal should have taken into consideration the finding recorded by the Appellate Commissioner which clearly showed that if the market value of the property was taken into consideration the deemed gift of Rs. 34,69,375 was liable to tax as held by the Appellate Commissioner. (a )the creation of a trust in property. 7. Section 3 is the charging section. It provides that subject to the other provisions contained in this Act, there shall be charged for every assessment year commencing on and from the 1-4-1958 [but before the 1-4-1987], a tax (hereinafter referred to as gift-tax) in respect of the gifts, if any, made by a person during the previous year (other than gifts made before the 1-4-1957), at the rate or rates specified in [Schedule I]. Sub-section (2) provides that subject to the other provisions contained in this Act, there shall be charged for every assessment year commencing on and from the 1-4-1987, gift-tax in respect of the gifts, if any, made by a person during the previous year, at the rate of thirty per cent on the value of all taxable gifts. “…bringing any asset as a contribution to the partnership capital by a partner amounts to reduction of his exclusive right to enjoy the asset during the subsistence of partnership and it becomes subservient to get his share in profits and losses so long as his status as a partner continues and upon dissolution of the firm or retirement from partnership to claim his share in partnership assets in accordance with the Partnership Act and agreement of partnership after satisfying the liabilities of the firm, and as a part of taking accounts”. “This brings to the fore, the question: What is the interest transferred and what is the consideration for which the transferor (the partner who contributes the asset) has transferred the asset? In the answer to it, lies the key to whether adequacy or inadequacy of consideration is determinable in praesenti at the time of contribution. When an asset is brought as a contribution to the partnership capital in the firm, whether it is a transfer of full right, in the property upon such transfer to be enjoyed by other partners or it is the right lesser than the full right in the asset? Upon transfer of interest in such property, right to be enjoyed jointly comes into existence, but it cannot be equated with the transfer of whole property in absolute inasmuch the contributor retains right to enjoy the property at best jointly as much as other partners also retain right to share partnership property including the one brought in by him on dissolution of the firm or on his retirement. 12. What, follows from the aforesaid judgments is that when a partner brings in his asset into a partnership firm by way of contribution it amounts to transfer of property as defined under the Gift-tax Act. Though it amounts to transfer of property, as a consideration for that transfer, he becomes entitled to the profits in the partnership firm. It is not a case of complete divesting of his interest in the property brought in as capital asset. Partially, the property is transferred and as a partner he continues to have interest in the said partnership asset. Not only he continues to have interest in the property brought by him to the partnership firm as a partner but if there are other partners who have brought in similar properties into the firm by way of asset, he will also have an interest in those properties. If at the time of constitution of partnership or at the time of his entry into the partnership, if a value is mentioned in the books of the partnership firm representing the interest he has brought into the partnership, it does not truly reflect the market value of the property which he has brought into the partnership firm. It is purely a notional value. The said notional value is only for the purpose of distributing the profits of the said partnership firm either at the time of dissolution or at the time of retirement. When a partner brings his property into the partnership firm, though the consideration is that he will acquire the status of a partner and he continues to have interest in the partnership assets, there is no monetary consideration for such transfer of the property and the book value mentioned is not the consideration for such transfer. Section 4(1)(a) is attracted only in a case where there is a monetary consideration for transfer and that monetary consideration is lesser than the market value of the property, the difference in the amount being treated as a deemed gift under section 4(1)(a). The share to which a partner is entitled to at the time of dissolution or retirement has no bearing on the question regarding the value of the property which he would have brought into the partnership at its inception. In that view of the matter, when there is transfer of property into a firm there is no consideration and the book value mentioned is a notional value. The share to which a partner is entitled to at the time of retirement from or dissolution of a partnership firm depends upon various other factors. The quantification of a partner’s share cannot by any stretch of imagination be taken into consideration to hold that there is inadequacy of consideration at the time of the partner bringing in the property into the partnership firm. On that basis it cannot be held the difference in the consideration constitutes a consideration for the deemed gift. 13. In the instant case all the three assessees brought their landed properties into the partnership firm. The transaction is not a sham transaction. In the books of account the value of the property is mentioned. It does not reflect the actual value of the properties, in other words, the market value of the properties. It is not a case of complete transfer of right of property in favour of the partnership firm. Partnership has admittedly not paid any consideration for such transfer when the properties were brought into the firm. When the partnership firm has not paid any consideration, when the amount mentioned in the books of account is only a notional value and when the partners even after transfer continues to have interest in the property and only on dissolution or retirement, the actual share of a partner could be ascertained and the value of the property is unascertainable on the day they were brought into the partnership firm, the question of holding it as a deemed gift under section 4(1)(a) is impermissible. That is precisely what the Tribunal has held on considering the various judgments on the point. In that view of the matter, we do not see any merit in the contention of the revenue. Accordingly, all the three appeals are dismissed and the substantial question of law is answered against the revenue and in favour of the assessees. No costs. This entry was posted in Gift Tax Act, Sec. 4 and tagged 339 ITR, bona fide not for inadequate consideration, In favour of Assessee, Karnataka High Court.